Despite significant progress in LGBT rights, issues of prejudice remain. Research published today presents a worrying picture for many LGBT (Lesbian, Gay, Bisexual and Transgender) individuals accessing both specialist and mainstream services, despite great strides in LGBT rights. The study, carried out by Anglia Ruskin University – produced by a partnership of LGBT organisations and funded by independent charity Trust for London – highlights growing concerns around prejudice, safety and poverty. LGBT service users are presenting increasingly complex and multi-layered issues to providers, including problems regarding mental health, primary healthcare, housing, substance abuse, safety and violence. These needs are set against a backdrop of inadequate targeted service provision, with the majority of respondents unable to access services within their locality. The report, which surveyed 158 LGBT service users and 60 service providers in the capital, found that 40% of respondents experience some form of prejudice on a regular basis, with one-third reporting constant concerns over their physical safety, both at home and elsewhere. Additionally, the majority of those surveyed are reluctant to reveal their sexuality and/or gender identity to mainstream service providers, for fear of the reaction. 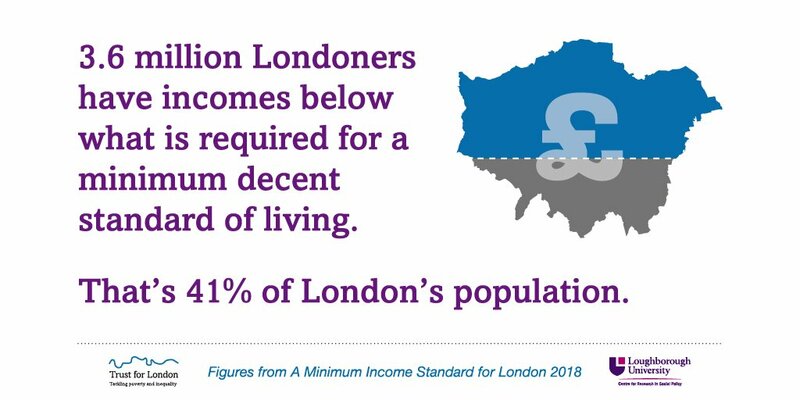 The research also shows poverty amongst London’s LGBT community is a greater problem than perhaps initially thought, with over a third of respondents reporting to be earning less than £15,000 per annum – a figure significantly lower than the London Living Wage of £9.40 per hour. The findings show an equal proportion of LGBT people who are educated to university level consider themselves to be of low income as those who are unqualified. Service providers highlighted cuts to funding as a major barrier to delivering sufficient specialist services to London’s LGBT community. The report shows that decreased provision coupled with an increasing complexity of need amongst a proportion of the capital’s LGBT community has led to an increasingly difficult landscape. In many London boroughs, there is little to no LGBT service provision, with users often travelling significant distances across the city to access key services. Providers did however report a number of activities they have engaged in to overcome the difficulties they face, including cost-cutting, entering into funding partnerships and challenging cuts to funding. Although the outlook for LGBT service provision is a troubling one, the report points to a number of ‘best practice’ examples, where providers have reached out to individuals and had a positive impact. One organisation, LGBT Jigsaw, offer an inclusive space for young LGBT people, addressing an array of issues around homelessness, mental health, domestic abuse and personal safety. The activities of voluntary sector groups and funders should be benchmarked against such organisations. fostering collaboration in terms of needs and geographical locations, where appropriate. in order to tackle the reluctance, by many, to access services or reveal their sexual orientation or gender identify to service providers. the causes of poverty and meeting their complex needs. as well as develop solutions to support LGBT communities.